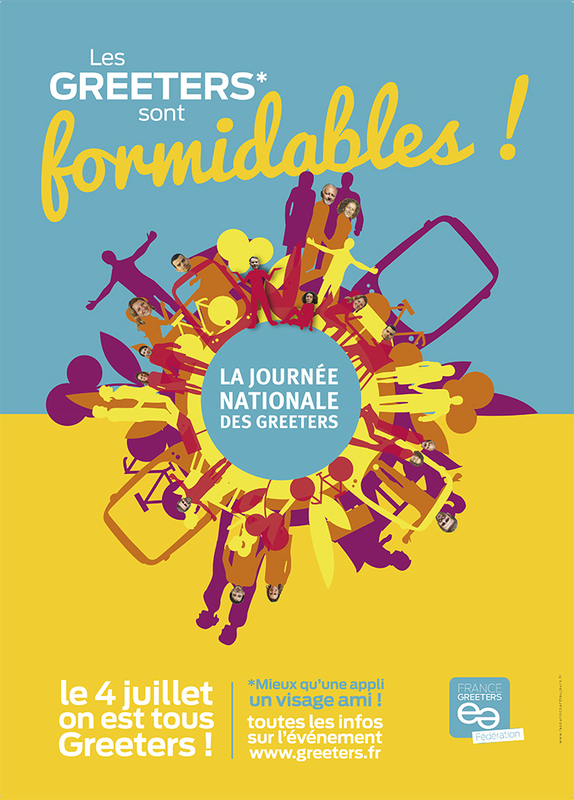 For the second year in a row, all the Greeters destinations in France are holding a NATIONAL GREETERS DAY. Throughout France, on 4 July, you can come and get to know the whole concept behind the Greeters Network. Volunteer Greeters will be there to tell you about their motivation and enthusiasm for the Greeters Network. They are all local volunteers who are keen to share their views of and affection for their city with visitors. Here is our programme in Marseille: coffee, aperitif, picnic, pétanque, football, chatting and swimming. Join us on Saturday 4 July from 11am to 5pm. Meeting point : the lawn area on the Prado Beach, opposite the ‘David’ statue. It will be easy to find us – just look for the flag with our logo.